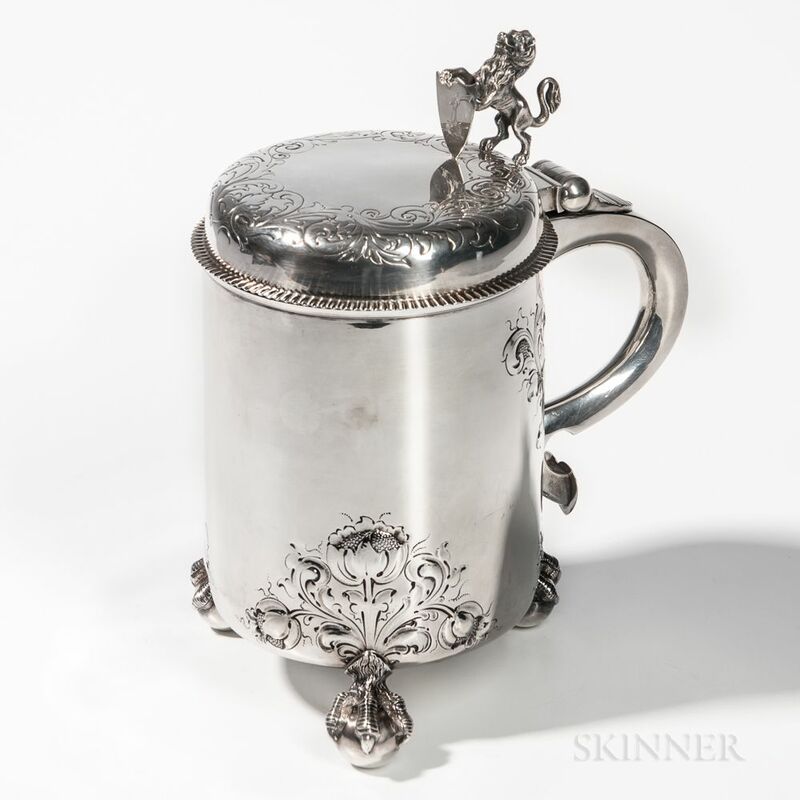 Victorian Sterling Silver Tankard, London, 1881-82, John Chapple & John Mantle, maker, with a lion holding an engraved shield for a thumbpiece on three claw-and-ball feet, ht. 10 3/4 in., approx. 37.2 troy oz. In good overall condition with only light wear.